Kiran More was a wicket-keeper batsman for the Indian team between 1984 and 1993. The former Indian cricketer was appointed the chairman of the selection committee in 2002, a post he held till 2006. It was More's selection committee that spotted Mahendra Singh Dhoni and gave him a chance to represent India in cricket. 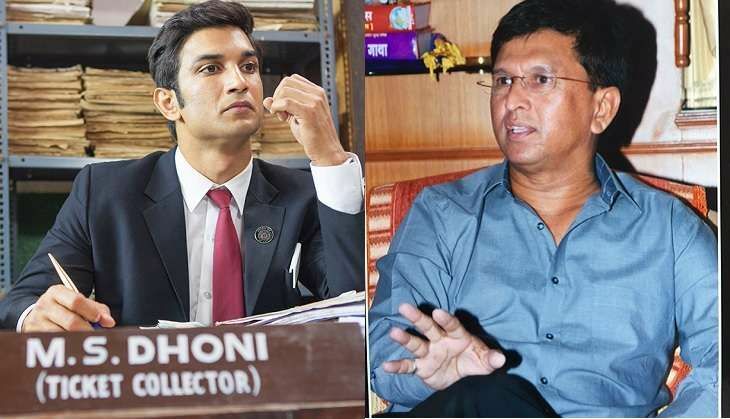 Life has come full circle for More, as he has wrapped up his latest assignment - training actor Sushant Singh Rajput to transform into MS Dhoni for a biopic directed by Neeraj Pandey. Was it difficult to make Sushant Singh Rajput bat like MS Dhoni? Dhoni's style of batting is very different and that's why he is so special. Leave alone Dhoni, it is difficult to copy anyone's style of batting. Even when I coach students in my cricket academy, I don't tell anyone to bat like Sachin Tendulkar or Rahul Dravid. It was a big challenge for me to coach a person from non-cricketing background. Sushant Singh Rajput worked very hard and really raised the bar. He used to train for 4 hours a day in extreme conditions. He never gave up and after 25 to 30 days we started getting positive results. We started with the basics which slowly evolved into Dhoni style because I wanted to see how he plays naturally. Sushant had never played with the season ball, and once he started playing well with season ball, we changed his style of batting. When you spotted Dhoni for the first time did you know that he would become one of India's most successful captains? A selector's job is to pick the best possible team to represent the country. I saw a certain amount of spark in Dhoni when I saw him bat for the first time. He was a little 'Hatke' and we created a opportunity for him by giving a place in India A team. He performed there by scoring nearly 600 runs in the series followed by a good performance in a few other tournaments. We were looking for a wicket keeper batsman for team India as Rahul Dravid used to keep behind the wickets in those days. Though Dhoni didn't bat well in his debut match, he was unstoppable thereafter. This is a great story, so better go and watch the film. How did Sourav Ganguly and the other team members react when you selected Dhoni for the Indian team? It is always the performance that speaks. Dhoni went onto perform well by almost hammering every bowler. He had already become talk of the town following his stint in India A team. Sourav Ganguly was Indian Captain back then and any captain would love to have a player like Dhoni in his team. As a selector and captain, we look for a match winner in a team and Dhoni is the biggest match winner India has ever produced. What makes someone a successful captain? Captains are always the people who take the gamble. Taking right decision at the right time is what makes a person a successful captain. Dhoni is a very special captain and that's why he is one of the greatest captains India has ever had. His decision to bat over Yuvraj Singh in World Cup final was a master stroke. He had the guts to take the gamble and that paid off. Tell us about your decision to drop Sourav Ganguly from the cricket team in 2005. You always have to take some strong decisions in your life. When we took the decision to drop Ganguly in 2005, it was to get the best eleven on board. There are seniors and top players in the team, but we had to analyse the whole thing and think about the future of Indian cricket before taking the call. MS Dhoni: The Untold Story hits the big screen on 30 September 2016.